A faithful Catholic education can prepare students not only for a career, but for life. To get a taste of the value of a faithful Catholic education, high school students are encouraged to look at summer programs at the colleges recommended in The Newman Guide to Choosing a Catholic College. These programs are a great opportunity for high school students to strengthen their academic and extracurricular skills, grow in their spiritual lives, get a head-start on college visits, learn from distinguished professors, make lifelong friends, and experience what faithful Catholic education is all about. Please click here for more information and a full listing of programs offered by schools like Catholic University, DeSales, University of Dallas, and more. NOW ACCEPTING YOUTH AMBASSADOR APPLICATIONS! Harvest Hope, educating the Upstate community on the needs of hungry people, and increasing hunger relief resources. A choice of any other Harvest Hope events, projects or programs. In this one-week course, students will study characteristics of great political and military leaders in a seminar-style class led by professors from the Clemson Lyceum Program. This classroom experience will emphasize individual contributions from students, which will help students not only develop their critical thinking skills, but also their ability to engage in civil discourse about political and philosophic matters. With the aid of their professors, students will study, in detail, questions concerning greatness, leadership, good judgment (prudence), principles, ambition, political contexts, and education. This class is a must for anyone interested in politics, history, ethics, and those who wish to serve their communities. Please note that there are required readings to complete before this course. We will reach out to parents of registered students with this information at a later date. This course is offered in session two (June 9-15). The mission of SC Business Week is to develop tomorrow’s business leaders today. SC Biz Week is a program for HS students to get an inside look at business in action and educate on entrepreneurship and the American free enterprise system. Business week will be held at USC, Columbia on July 21-16, 2019. Complete the application form in its entirety with the signature of school principal or guidance counselor, and return to the South Carolina Chamber of Commerce. The Summer Business Institute is a pre-college summer program for rising high school juniors and seniors interested in business, entrepreneurship, and leadership. The week-long program will take place from Sunday, June 23 – Friday, June 28, 2019. Participants will have the opportunity to learn from Catholic University’s Busch School of Business faculty, business leaders and entrepreneurs and dive hands-on into business principles, applications, and competitions while experiencing a taste of college life and exploring Washington, D.C. Regular Decision deadline for applications is May 1. For more information and to apply click here. Program (STEP) is open for high school juniors going into their senior year. CREATEng is GSSM’s one-of-a-kind engineering and design thinking day camp for rising 8th and 9th graders. Working through project-based, hands-on team challenges, students learn what engineering is and what engineers do. With a focus on manufacturing and biomedical engineering, student teams will be challenged to design blades and gears for a wind turbine, solder and build optical heart-rate monitors, and print 3-D prototypes of manufacturing or medical solutions for testing. CREATEng students will interact with guest speakers and go on a field trip to a local company to see engineering in action. All camps run from 8:30AM to 4:00PM daily. Summer 2019 Dates & Locations will be available February 1st. Applications will open mid-February. Cost $250 per student; Cost includes materials, field trip, lunches and snacks. Financial aid is available! Please complete the financial aid application within the online camper application. Families registering more than one child, or for more than one camp, will receive a discount. Who is eligible to apply to CREATEng? Rising 8th & 9th graders who have demonstrated scholarship in science and math and desire an academically challenging STEM summer experience. Students must submit their 2017-18 first semester report card as part of their application and must have a B average or higher in order to be enrolled in CREATEng. 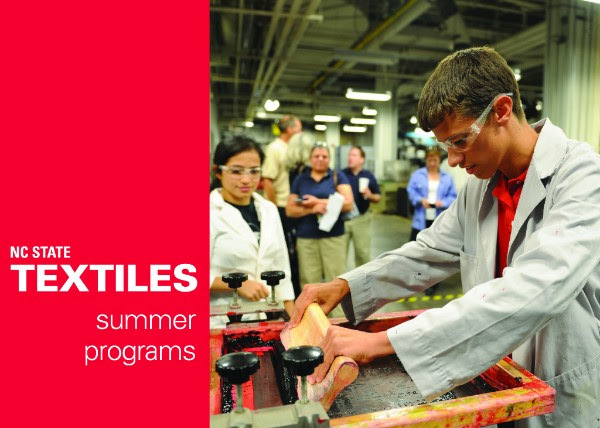 If you have an interest in serving in any branch of the military and/or attending a service academy, you will want to attend their summer program. Below are links to each of them! Schola offers a unique opportunity to rising high school sophomores, juniors, and seniors to spend an elevating and revitalizing week engaged in a rich schedule of academic, cultural, and recreational activities centered on lively seminars discussing several of the great books of the Western world. The program draws on the rich cultural and recreational offerings of the greater Charlotte area. In addition to daily recreational activities, the program includes a visit to the celebrated Mint Museum in Charlotte, a staged reading of a Shakespeare play, hiking in the nearby Appalachian Mountains, and white water rafting at the U.S. National White Water Center in Charlotte. Students will have many opportunities to participate in the rich spiritual and sacramental life of the college, including daily Mass and rosary, confession, Liturgy of the Hours with the monks, and adoration.